WE WILL PERFORM THE INITIAL SETUP FOR YOU ON A SINGLE RIFLE/LOAD! No other Dealer offers this free service AND free shipping. This means you will be Good2Go the moment it arrives and then you can have a baseline to add other combinations. 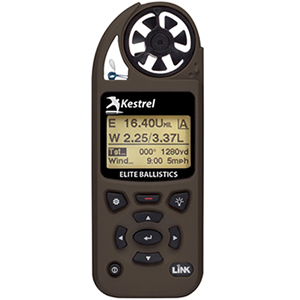 Get the world’s most complete ballistics calculator — a rugged Kestrel Weather Meter with the “science of accuracy” built in! Get accurate measurement of wind and air density to deliver elevation and windage solutions for unprecedented accuracy on extended long range shots. The LiNK connectivity powered by Bluetooth® low energy provides wireless communication to mobile devices and computers and integration with LiNK compatible laser range finders for improved speed and accuracy. 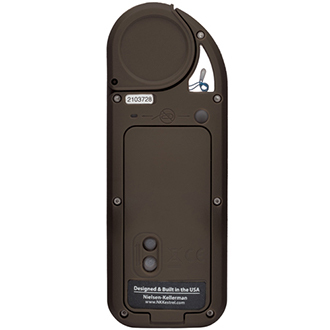 Choice of solution units (Mils, true MOA, Shooter’s MOA, or clicks) – works with any gun or targeting scope.